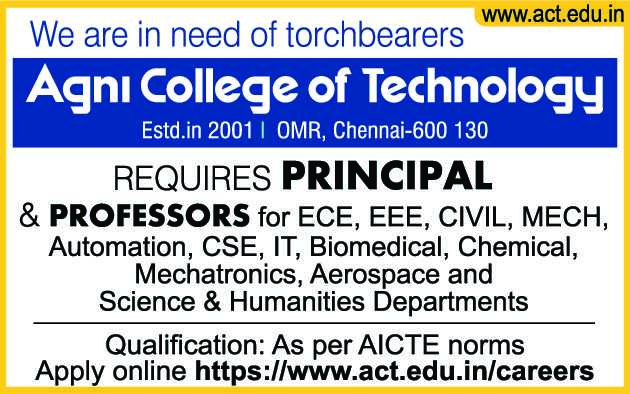 Agni College of Technology, Chennai has advertised in THE HINDU newspaper for recruitment of Professor and Principal jobs vacancies. Interested and eligible job aspirants are requested to apply immediately from 17th April 2019. Check out further more details below. How to Apply: Interested and eligible candidates are requested to apply ONLINE at the official web address provided here or apply online at the official website below.